Sometimes you need to exclude from your reports clicks and views coming from certain computers and networks IP addresses. This is useful especially in case you do not want your company internal clicks to be counted or if you noticed too many clicks coming from a particular IP that could be a bot or a spider. This is now possible with the new ClickMeter interface: The new “Exclude IP” feature allows you to stops clicks and views coming from your IP blacklist. 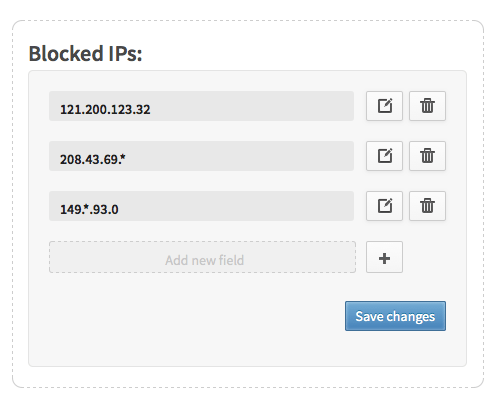 You will be able to include in the exclusion list both single IPs or class of IPs (like 123.22.53.*). When a click come from an excluded IP it will be redirected to the destination URL but not tracked, then you will not see the clicks in your reports.